I can relate to that. I try to post to this blog every Thursday with some new snippet of history and nonsense, but sometimes I don’t make it. And now it has been three weeks since my last post. Summer is especially tough because my sons (7 and 9) are out of school and, well, what with the stress and strain of administering to the affairs of the wild creatures about me, I just hadn’t gotten around to it until now. 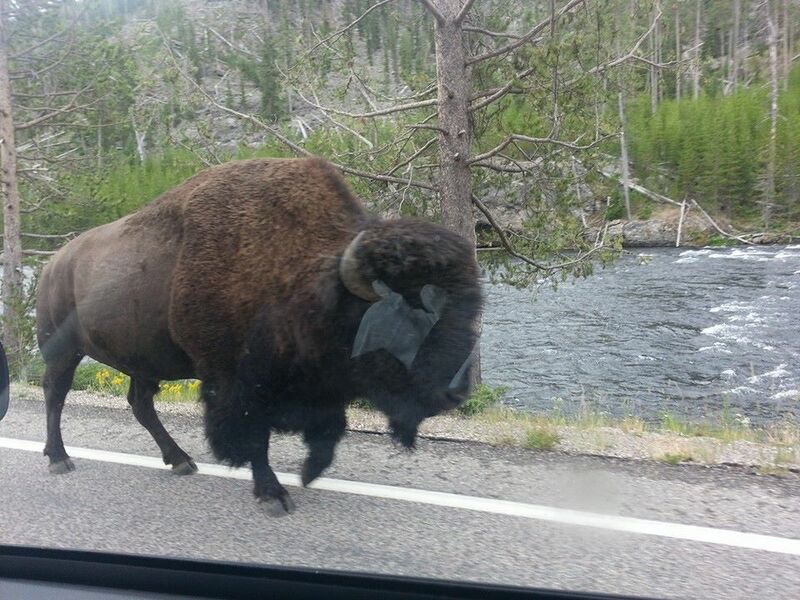 But my family just recently returned from a trip through the Western United States, including Yellowstone and since school started this week, I thought I’d finally take a moment to write about it. First of all, though my husband has been to the oldest national park in the world several times, the boys and I had never been. Just judging by the variety of license plates we saw and the number of languages we heard, I’m guessing most of you have been. If you haven’t, and you ever have the opportunity, you should go. Even our travel companion Steve was a little apprehensive. At least that’s all most people told me about it before I went. And they weren’t wrong. It is weird. It bubbles and boils beneath you and vents its acrid steam and then belches great plumes of water before a crowd that can’t help but gasp and cheer even while realizing that the earth here could actually explode and kill us all. And then there’s the wildlife. Our first night in the park we camped because we wanted our boys to have that experience. We got our tent all set up and attended an evening ranger program where we proceeded to learn all the ways bears, elk, and bison can and will kill you. 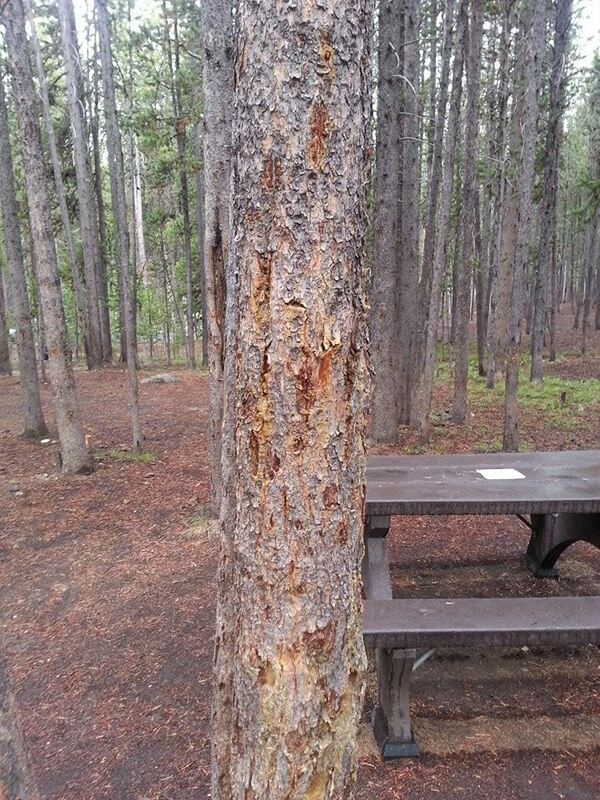 Then we slept in our tent pitched alongside trees that had been marked by bears, elk, and bison. We spent our remaining nights in a lodge. We didn’t point out the bear markings to the boys until we were packing up the tent the next morning. But Roosevelt and his companions largely didn’t. On a brief respite from a westward speaking tour, the president mostly camped in the backcountry. Of course there were no terribly endangered bison to speak of in the park at that time, and as this was early spring, most of the bears were still hibernating, but there were lots of elk and still a fair number of mountain lions and other predators. It was the animal life that chiefly interested Roosevelt. According to Burroughs, the president, much to the chagrin of those companions charged with his safety, set off by himself as often as he could to enjoy a quiet picnic lunch alongside a wandering herd. Once while coatless and half lathered in the middle of a shave, Roosevelt rushed to the canyon’s edge to watch the treacherous descent of a group of goats headed for a drink from the river below. 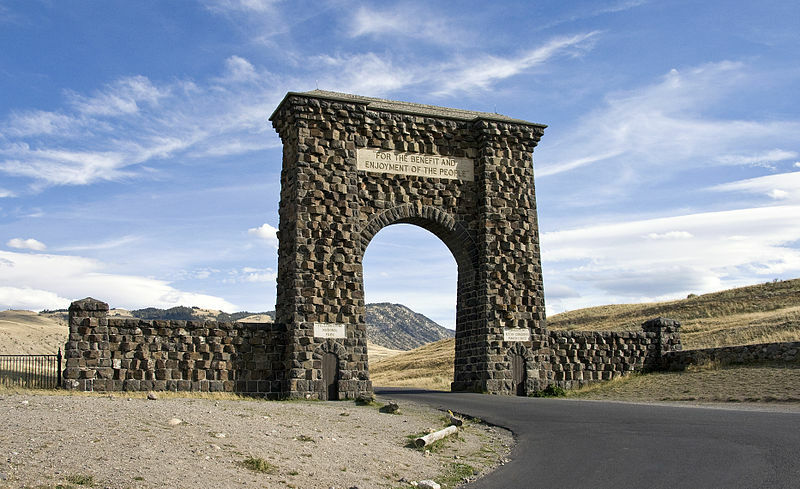 Despite the grueling travel over still deep snow in many parts of the park, the sixteen day detour through Yellowstone apparently left Roosevelt refreshed and more determined than ever to advocate for the nation’s natural spaces. When we were about to leave the park, I admitted to my husband, who had largely planned this trip on his own, that I’d had my doubts about this vacation. It’s not that I don’t like to animal watch and hike. I do, but I wondered if it would hold the attention of our boys or if we would all be tired and cranky and wishing we’d spent a week at the beach instead. I was pleasantly surprised. They loved it, almost every minute of it. 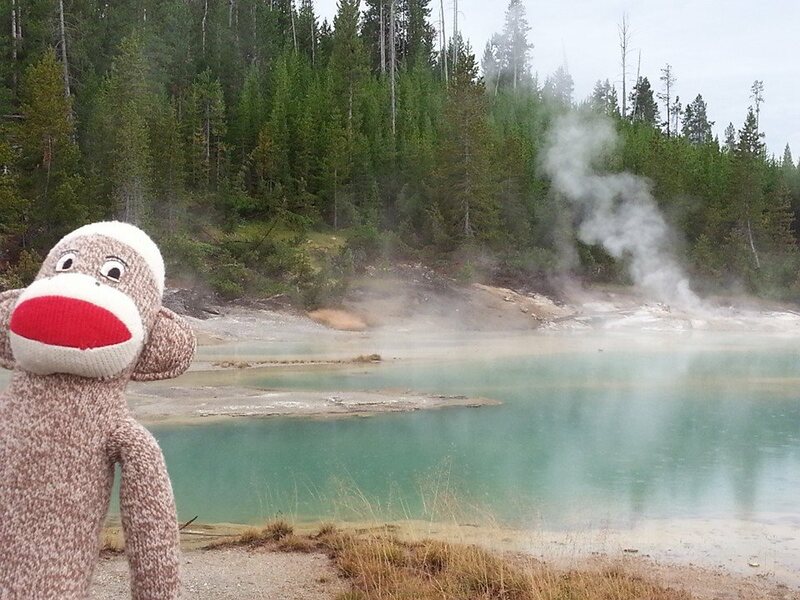 They delighted in the walking past the smelly, gurgling acid pools of a giant super volcano and they loved craning their necks to spot distant elk herds and bird species they’d never seen or bothered to identify. At times the wildlife was a little closer than we would have liked. We came home refreshed. And I’m delighted to finally take a moment to reflect on the journey. I’m also glad that it didn’t take me the three years it took Burroughs, who defended his slow pace by reminding his readers that he didn’t have the “absolute leisure and peace of the white house” that allowed Roosevelt to write his own reflections shortly after the trip. Yep. I bet that’s it. If only I were president, I’d have all the time in the world to post. 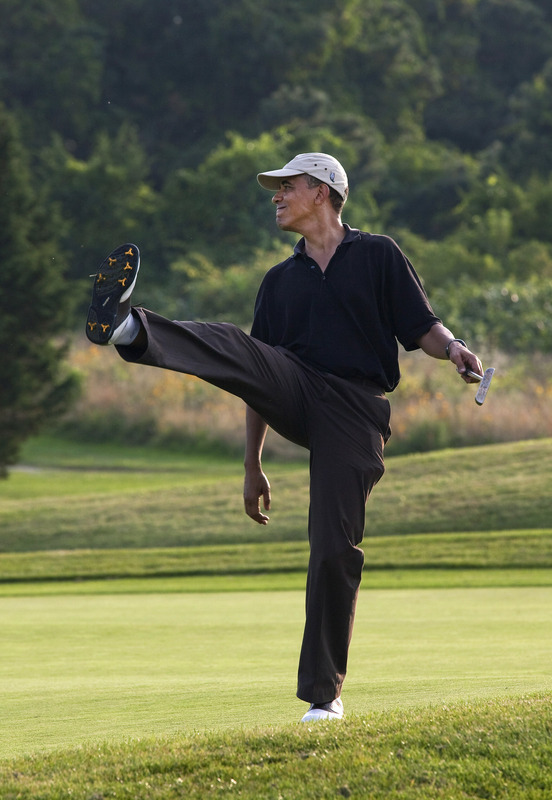 And maybe even to improve my golf swing. Reblogged this on theclark tribe.